Associated Builders and Contractors Inc. will have several educational programs that will be starting classes in January. What makes the Southeast Michigan Construction Academy unique is that it is a school created by the construction industry, for the construction industry. ABC offers certified apprenticeship programs, continuing education, management and safety programs designed to enhance profession development. Looking to continue your education? Click below to apply. The need for qualified construction professionals in today's society and economy is growing exponentially each year. 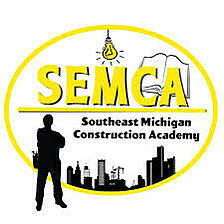 Southeast Michigan Construction Academy (SEMCA) has been instructing apprentices in the skilled trades for over 30 years. The organization's mission is to train tomorrow's workforce to be skilled, motivated, and safety conscious. Experienced instructors assist students in hands-on demonstrations and skilled assessments as well as classroom learning. SEMCA works with students to create a resume and assist in your job searches. While there is no job guarantee, over 95% of SEMCA students are working full-time in the construction industry.